Happy Valentine's Day! I hope you know you are loved. That's the underlying noncommercial message intended for you by the beloved arrow-toting Q. Ped. I'm celebrating by posting two birthday cards for you with no hearts on them! 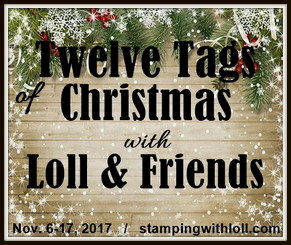 You might have seen my last post with a sketch inspiration from Stamping Smiles Tic-Tac-Toe Challenge. I liked the layout so much that I used it again for this birthday card using a snippet of older DSP from SU. I really like this paper with the layers of ombre rainbow-hued balloons. After adhering the paper diagonally on the card, I used my rectangle stitched dies from Lil' Inker to cut a double frame. The sediment is from Avery Elle's "Fanfare" set. The balloon strings die is also from Lil' Inker. 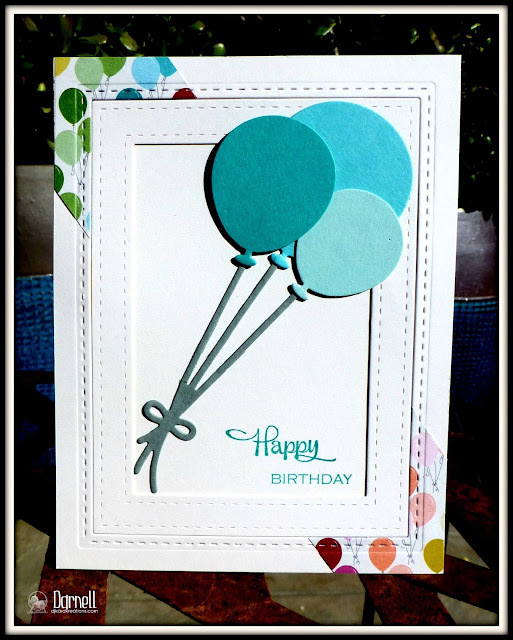 The balloons themselves are NBUS from "Celebration Balloons" by Poppystamps. I used the "party" word die again from Winnie & Walter. I triple-layered it, which is a fun technique and gorgeous IRL, but I like to slightly offset the layers, so that always makes my photos look a bit blurfy. I met a new friend last week at the Playhouse! Her name is Karen Ladd and you may have seen her in challenge galleries. She doesn't have a blog I can link, but she posts her beautiful cards to Flickr here. We decided that although we weren't too happy with our selfie, we were very happy to meet each other in real life! 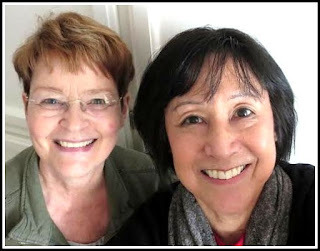 Thank you for the visit, Karen! I've talked to a couple of you before about this, erm, situation, but I was reminded of it when I was opening cupboards in the Playhouse to show Karen. There in the nether regions of one I noticed my stash of paper cutters. You know what I'm talkin' bout, Wilson, those cutters you decide you no longer like for one reason or another, but you keep them "just in case." Am I alone in this irrational fear that two paper cutters aren't enough and that one cold, dark, and stormy night, I will need to climb up on a step-stool and get one of the paper cutters from the back of the cupboard that hasn't been used since the end of the last century?! So that's the latest. One more shelf emptied and one less chance of granny falling! Oh what a treat so see a blog that isn't full of hearts and soppiness today, yet is still packed with fun and happiness. Lovely bright cards to cheer up anyone's day! I've not tried double layering yet and here you are triple layering and it looks wonderful! Loving the cards, especially the lovely colours on the second one. I have two paper cutters, but as I prefer one, the other hardly ever get's a look in. 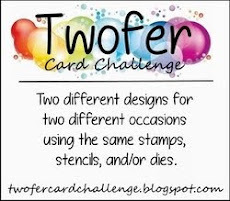 Two fabulous cards - I love the stitched rectangle dies, so please keep using them! Paper cutters, wow, I have two and my trusty craft knife! I really love the idea of adding just a strip of patterned paper then die cutting with stitched die. You can never have too many stitched die cut layers, I totally agre with you they really finish the card off perfectly and I reckon the same. They were the most popular purchases last year. Lucky there is that law to use the inside of the die cut as well cause it gave you two perfect cards. So good to see Valentine posts have finished hey!! What a big pile of paper cutters, I can be smuge cause I only have three.....no I forgot ohh bugger I have five, thats bad. gOing to put them in the Salvo's pile soon as I finish here. Love these bright birthday themed cards, Darnell! That patterned paper is gorgeous and the law is right when it requires you to use both pieces :) I only have one paper trimmer so now you have got me worried that I should have a back up or 8 in my stash!! Happy Valentines to you! I love your cards! Superb designs and I am so guilty of using those stitched borders too much ... they are fast becoming my trade mark... I figure that as each card goes to a different person ... well they don't know I've used those dies each time... Have a wonderful day filled with love! Love your balloon themed cards Darnell....I must admit I dont have as many cutters as you but I have got 4! I have a very large sturdy cutter that I've had for 15 years its self sharpening and will cut through mount board...I have my SU cutter, my 'take it along' to club cutter, and another one lurking in my cupboard..but I must admist I have also just sold one....I expect we are not the only 'cutter/paper trimmer hoarders'..lOl..lOl. Two super fun and fabulous cards!! 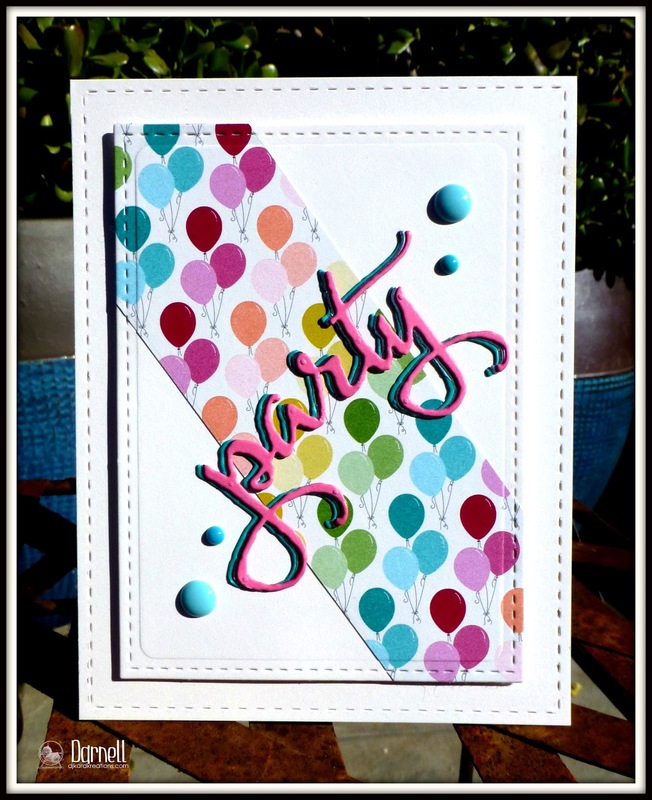 You used very well the balloon paper in these two fun cards, great inspiration! Love expecially the second one, it's so happy with that party word, it make me smile! These cards are gorgeous! LOVING the balloons!! Happy <3 Day!!!!!!! Happy Valentine's Day to you and the Mister! Hope you have a beautiful day. Love both of these fun and cute birthday/party cards. Don't think you can even use the stitched dies too much though. They're great! Happy Valentine's Day Dippy. 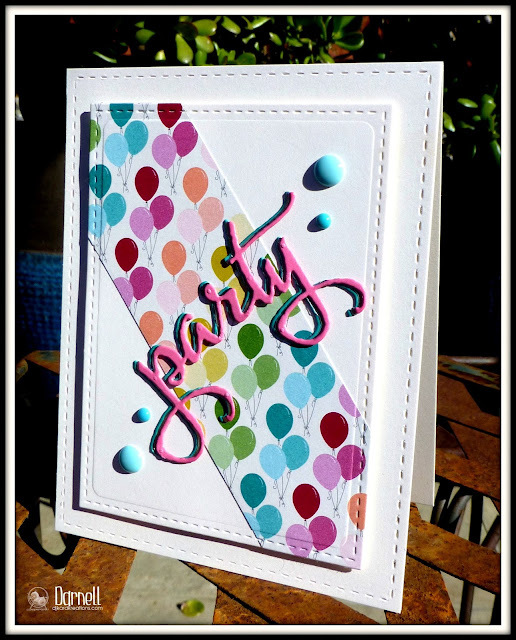 Two gorgeous cards - just love that DSP from SU with the gorgeous balloons and the way you have used them differently on both cards - perfect. Had to laugh at your photo of paper cutters........think it must be a crafting obsession as my cupboard looks exactly the same (although I haven't counted them.......don't dare!!!). Happy Valentine's to you ...... two gorgeous balloon cards, I love how you always make use of the positives and the negatives of your die cuts. Love your two fun birthday cards, Darnell. So cute. Happy Valentine's Day my friend. Lovely balloon cards Darnell colours are great on that dp. I'm with you on the cutter front. I have several, bought having seen them being given used on demos but they never seem to cut as well as my guillotine! I love your Birthday cards-bright and happy! I think having the stitch is great and keep doing what you like. I only have 2 cutters which I do use. Which one do you use now and why do you prefer this one over the others? I only have 5 paper cutters, thus far, but as luck would have it, I was eyeing a new one just yesterday. Let's just say I'm out of control and leave it at that. You have, however, enabled me, yet again with this Lil Inker stitched rectangle. Now, I NEED it. I bet it's sold out everywhere, though. Loving the results of it on your cards. Aren't you glad you had the Snippet of SU paper, as well. That's one I missed in the blogosphere. Anyway, love that you chose Valentine's Day to produce Happy cards. They look terrific. Say HI to Hammie & company for me. 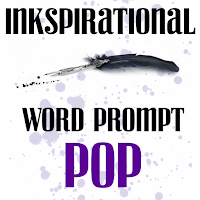 I love the pop balloons for Ink, that paper looks like felt. And I love the off set dies in your second card. I like to do it like this as I am so bad at getting them to line up straight. I only have one paper cutter!! Any advice on the best one you have used? Thank for joining Ink. I absolutely love your gorgeous cards! !Love the super cute balloons! I own only 2, the Cricut and Friskars. I really like the Friskars but lately I am noticing my papers are not coming out with clean cuts. Maybe I need to change the blade. Happy Valentine's Day!! It seems like your post is the only one I have seen today that doesn't feature hearts and such - how refreshing! Your cards are fun and colorful! Love that balloon paper! Love the balloon paper and cards. Pretty colors. I have such a tiny space to work in that I have to purge every couple of years. I donate to the Children's ministry at my church. I don't care what anyone says, those stitched dies are here to stay!! I have to say that I've never thought to stack them one-on-top-of-another (I guess I'm creatively challenged because why not??? ), but they look even cuter that way. Your happy balloon cards are just the way to brighten this Sunday and let us move on from hearts and flowers. Hee hee, that stack of paper trimmers looks even more hoardish all scattered about on the floor of the Playhouse. They didn't look as bad up in your cupboard, did they? It was wonderful meeting you and being able to see the darling Playhouse and your intimidatingly organized stash. Gulp! All those clear plastic sleeves and neatly labeled containers gave me goose pimples, but in a good way. I may have to tackle my own die collection yet! Ahhhh, selfies....yeah. My daughter says I just need to practice more so that my head doesn't come out twice as large as everyone else's and I don't look like I got surprised by a ghost! Still, it proves that I actually met you so it serves its purpose, right?! Happy Valentines Day to you and the Mister Darnell!! Hooray!! I love the photo of you and Karen...AND that other one, too. You KNOW the one I am talking about! Ha. So glad you two got to meet. Her enchanting description of your little Playhouse made me feel like I was right there with you! Love your cards. 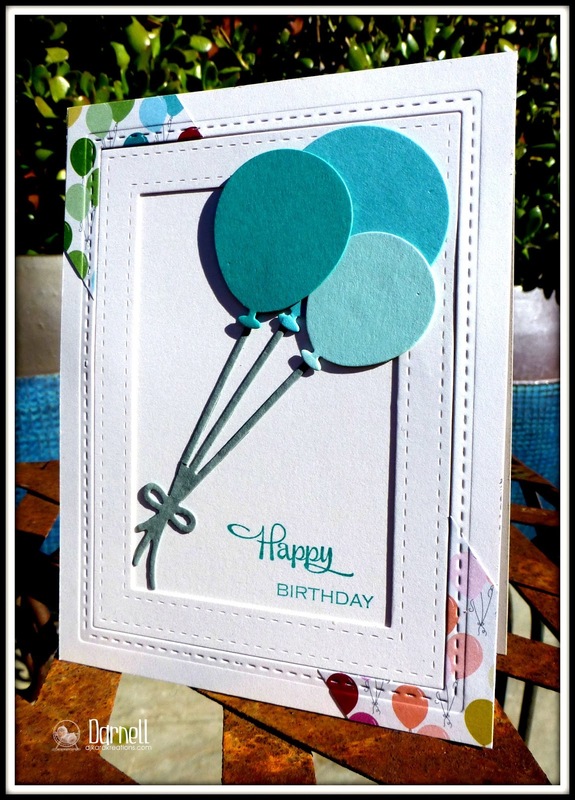 The pretty balloons really look great in the border or in the background...and I love the stitched dies, too! That's totally hilarious about all your cutters. 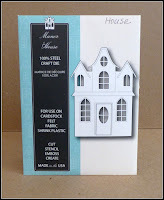 I might have 8 different kinds of silver embossing powder, but I only have one craft cutter! Ha. I do see them second-hand, occasionally, and wonder what is wrong with them. So far I have only bought one of them at my local thrift store and turned it into a scorer, instead of a cutter. Love that! BEautiful cards. Think I have 4 or 5 cutters. I LOVE, LOVE, LOVE the teal/aqua balloons! The colors are gorgeous! Especially with the SU dp matchy-matchy shades in the to right corner! Really cool effect with the offset diecut letters on your second card and more of that sa-weet dp! Personally, I think it's a great picture of you & Karen. So cool that you got to meet her! As for paper cutters...I have 3...that is after I gave 2 away to my nieces! You never know when one or ten of them will suddenly become dull! Right? Two fabulous designs, both are great and the balloon paper is brilliant. I only have two paper cutters, one that cuts 12 x 12 card and a little one that only cut 4 x 6", oh and then another one that I only use for scoring, oh and then there is my old one that I have kept Justin Case. I love both your cards, the stitched rectangles are just such fun. That SU paper is fabulous and works so well for celebratory cards. As for your paper trimmer situation...you are not alone. I have 1 big one to cut card fronts, sharp sharp sharp blade looks like the one on the bottom of your pile. I have the fiskars 12" for scrapbooking because it travels well. I have 3 smaller ones for card making...the small tonic was my favorite until I just got the tim holtz tonic...purely because of the 6" base makes those 5.5 inch cuts so much more uniform. Now I know I need to get rid of a couple...but wahhhhhh I might NEED one of the others...lol. And I haven't got them hidden in a cabinet...they are right out in the open for all to see! Love all the balloons! Very happy cards! And yes, you're in good company with all of your trimmers. I had to pull an old one out just last week, so thank goodness I had an extra (or two, three, whatever). Two gorgeous cards. Love the die cut frames. Confession time I have a few paper trimmers too, mine are on my bench top not in a cupboard. Ms 11 uses them although Santa got her own last Christmas. If I divide by the number of people in my house it isn't even one each. You just never know when you'll need that spare paper cutter, but 1 may be enough. And then you have to remember where it is if and when you need it! Love your birthday cards! They're fun and festive! Happy V. Day! Festive cards and I have a pile of paper cutters too. I plan on letting my grandchildren use them. Fab birthday cards! Balloons always make me happy. Two great birthday cards! I have to laugh about your paper trimmers...mostly because I have multiple trimmers...not 10...but I do have 5!!! Can't bear to dispose of them...keep thinking I'll find some paper crafters around her that I can share with! Super cute! 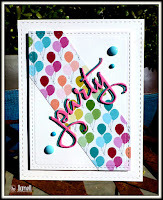 Love the bold, bright, happy colors; and those rectangle, stitched dies add such great texture! Thanks so much for stopping by neck of the woods! Hugs! These are both perfectly fun and festive Darnell!! Love your balloon cards, both bright & happy. I love offset layering of die-cuts too. I currently have 4 trimmers, 3 of which I use regularly. One for all my main cutting into card bases & large pieces, one for trimming off bits under 2 inches & my mini guillotine for shaving off those uneven edges. I have yet to find one that a can successfully do all 3! Happy VD...wait, that's Valentine's Day. Tee hee. I've the balloon paper too. Love the aqua blue balloons. I have 2 trimmers and a third one I know is somewhere, I started with a large wooden one like they used in the teacher's lounge back in the old days. Wish I still had it. Love your fabulous balloons Darnell. I have only one cutter, so I cannot understand your fear ;-)... but when it comes to it, I do hope my Cuttlebug never dies!! Fabulous birthday cards Darnell! Stitched dies are one of my weaknesses, I don't think I've met a card with them that I haven't liked. Ah paper cutters... I don't think I'm quite to 10 yet, but pretty close. Can't seem to let them go. Your cards are wonderful. I only have two cutters, but use mostly one all the time. But I do have other things of multiples which take space so I understand completely. Love your pretty cards Darnell. Lovely beaming faces at your meet up with Karen too, bet you had fun. I have one guillotine . . . feeling hard done by now! LOL! 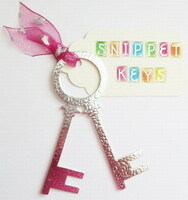 Thanks for joining in at the Snippets Playground. See you on the swings. Love all the happy balloons and the beautiful colours, Darnell!!! Two lovely and cheerful birthday cards!!! Beautiful ballooncards.Love the bright colors. Have a fun and colourfull week! Sweet pair of cards Miss Darnell...just love those wonderful balloons. Love your pile of trimmers too. I have to be honest with you, this has never happened to me, LOL. If one trimmer dies, I buy a new one. I am not much of a hoarder or saver so I just toss what I don't like or give it away. 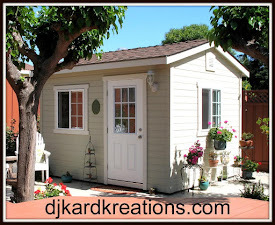 But now if I had your fabulous little play house it may be a different story! So nice meeting up with you and Harriet again yesterday...I always have so much fun. Hoping you are feeling better. Very inspiring to see how two cards can be made using the cuts and leftovers, love this idea and how refreshing to see cards with party themes! Lots of love going around lately. 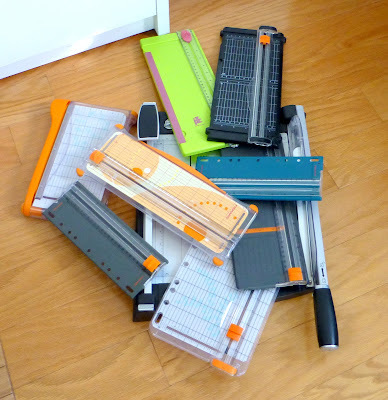 How did you end up with so many paper cutters???? I only have one but would like another thats like a guillotine but think that would be my limit. So funny that you built up such a collection!! Love your cards, they are so happy and colourful and really like the idea of having that strip of paper on the angle. Always must be nice to meet someone face to face that you've emailed. Oh how I wish I could pop over to the U.S. and Canada to meet everyone there. That would be so much fun!!!! ooo, I love balloons, great design and so bright colours! Wonderful balloon cards, love them both! Wonderful, bright cards, Darnell. Lovley change from all the hearts around recently. Darnell sez: I'm not really a paper cutter addict, I promise. I can quit anytime I want to. I just don't want to. Seriously, though I did downsize a few paper cutters but still have 5 of them. YES! Some dark and stormy night you might need a spare or two. I replaced my guillotine style Tonic cutter but kept the old one it replaced. I drag that out for big cutting jobs for classes and the like. No sense dulling up the new one right? And my other cutters have different functions. One has a wire so you can tell EXACTLY where your cut will be--good for precision jobs. One cuts and scores and is flat so perfect for the travel bag. I have a bitty one in the desk drawer for those quick snips or to cut a "smidge" off as it is good for smidges (a true unit of measurement). Anyway.... you've successfully distracted me from those festive balloon cards and I did want to comment on them to say they are fun, fabulous, and festive. Yea! Darnell - I love love love the balloons - the strip of colorful paper down the center of both is darn clever and adds lots of color. OMG~! Your pile of paper cutters! Laughing so loud here.... you got me beat girl! WOW!! Did my purge a few months back and sometimes I find myself still looking for things I got rid of. They're still there in the back of my mind... These things will haunt you later - mark my words!! LOL!~! Too funny! Your two cards are beautiful and reminiscent of the movie Up! I'm amazed at your cache of cutters - I only have two, myself. Not particularly fond of either one, though, so who knows - I may begin collecting more... Your diagonal DSP really adds interest to your frame. You are a free-thinker when it comes to card design. Love that about you! Seeing all those cutters reminds me that I have my own selection but I bow your your ten as mine are just 8! It's the blades that end up being discontinued! I bought 3 of the brown Fiskars cutters in a sale for a few quid gave one to Mum but even that one has come home now! A slightly delayed Happy Valentines day to you! both cards are really gorgeous! Love the double frame & you're making such incredible use of the sketch, Darnell! How fun meeting another cardmaking friend & I think you 2 look great! I'm so glad someone else has a collection of cutters & would you believe I'm thinking of buying another one?! I will get rid of the ones up in the cupboard, though--thanks for the push I needed! Belated Happy Valentine's Day, my friend! Because we were visiting mom-in-law, the significance of the day just whooshed over our heads...totally forgot! The ailing, but now fixed car, didn't help with creating 'loving feelings'...more like several bouts of grrrr....Maybe I'll treat him with some chocolate cupcakes tomorrow (maybe...) Your teal balloons, frame and sweet little corner treatments: charming! And how fabulous of you to follow 'the law' to design a second gem to bring smiles to our faces! Lucky Karen to meet you IRL and to have a tour of the playhouse. Keeping 'things' in reserve, for those just in case moments? Nothing wrong with that! Indeed, I had a brand new Big Shot squirreled away for TWO years, because I knew that, at some point, my Cuttlebug would cuttle no more! That day happened right before Christmas and what a good thing I had my NBUS BS ready to go *grin* Now, I'm just a weensy bit nervous that if this one goes, I have nothing on hand. Maybe I should stock up (and I won't tell my charming husband...). That balloon paper makes a great accent for your big balloons, Darnell. I know what you mean about the stitching. I don't use it enough probably but I really like how it looks with the double frame. You really should have done a review on those paper trimmers to stop some of us from making the same mistake. I used to have the gray Fiskars I see in the pile but got rid of it for the larger orange one. It's going bye bye now as it keeps leaving ragged edges. I got the small Tonic but it doesn't have a 5 1/2 mark and that drove me crazy so I recently purchased a 12 x 12 guillotine. I really don't have the room for it but it cuts so beautifully. Oh Miss Darnell! You've brightened my day again! Look at all those COLORS! I stared at that first card for a good long time trying to figure out how you got the balloons on the corners. And then I read your description and went AHA! Genius! Thanks for playing along with us at STAMPlorations! We always love to see your designs. Two totally fun filled cards, Darnell! I think Balloons scream "parteee"
Oh my!! I am laughing so hard at all those paper cutters. It would NOT be paper cutters I collect but I have other problems!! LOVE the wonderful design of your cards. The balloon paper makes me so happy, as do those colors!! OMG! Darnell, you should do a review of the different ones! hahaha I need to buy a new one so it would be so useful!! ;) Great to know karen. I will follow her on Flickr! Hugs!